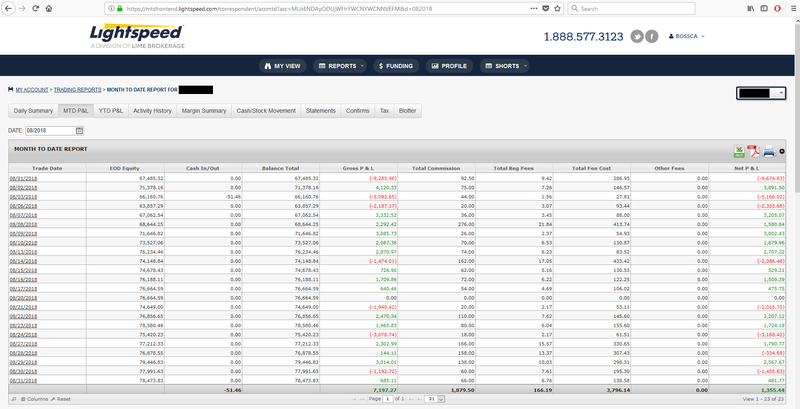 Gross profit before platform, wiring fees and TAF Fees/Credits: $117,409.75. 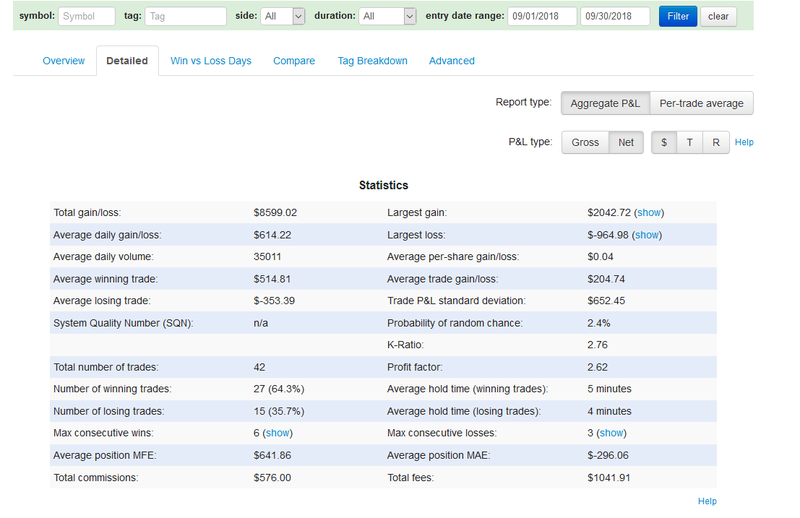 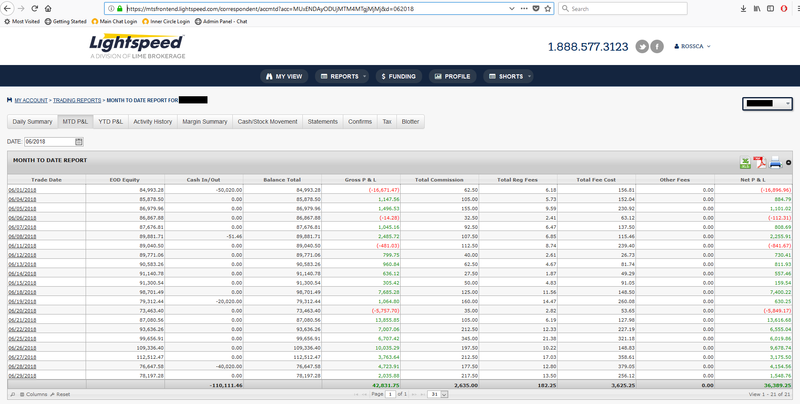 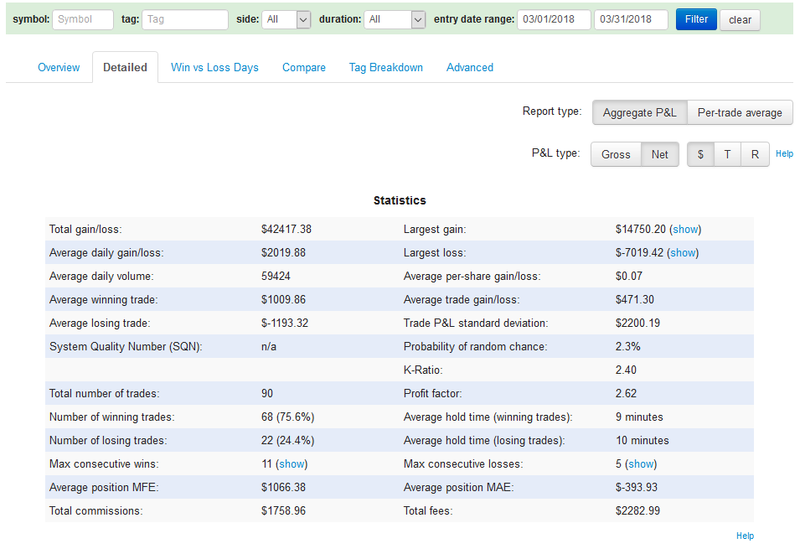 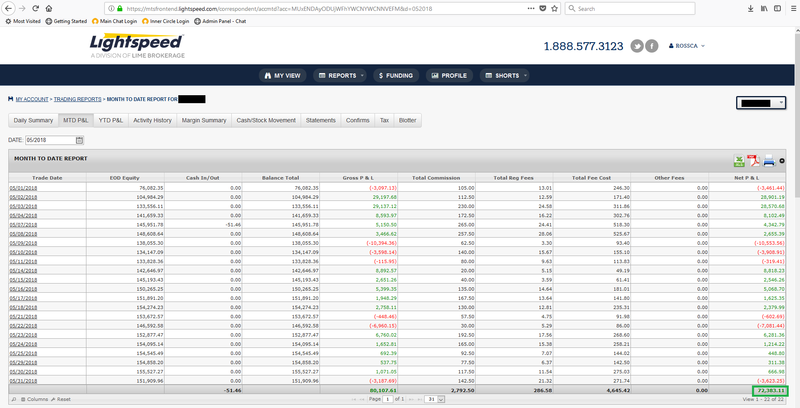 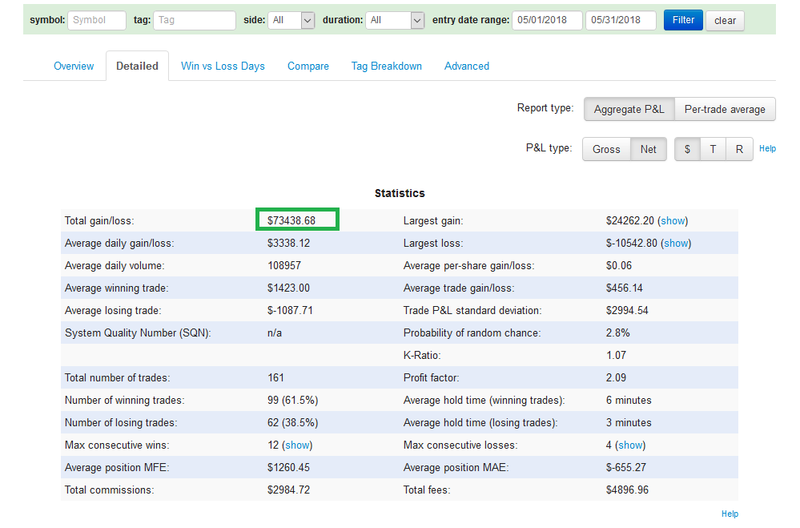 Net Profit after Fees/Credits: $117,517.50. 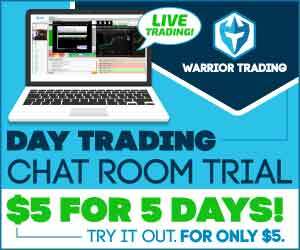 Gross profit before platform, wiring fees and TAF Fees/Credits: $-10,853.78. 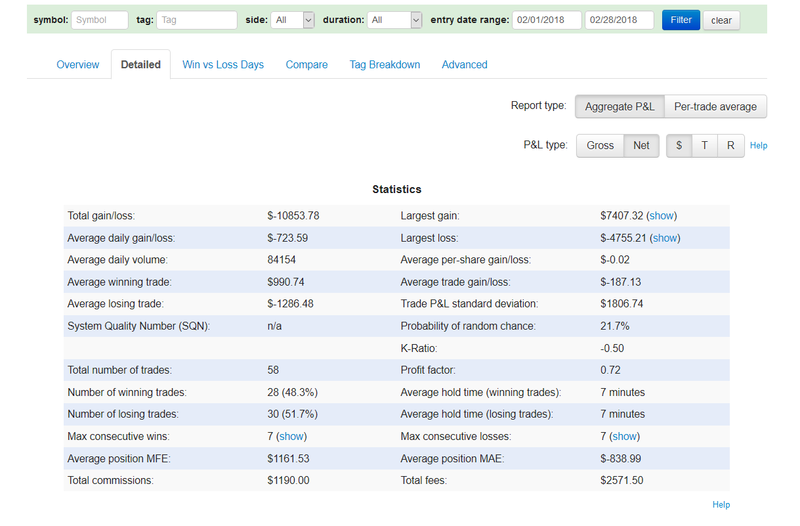 Net Profit after Fees/Credits: $-10,885.80. 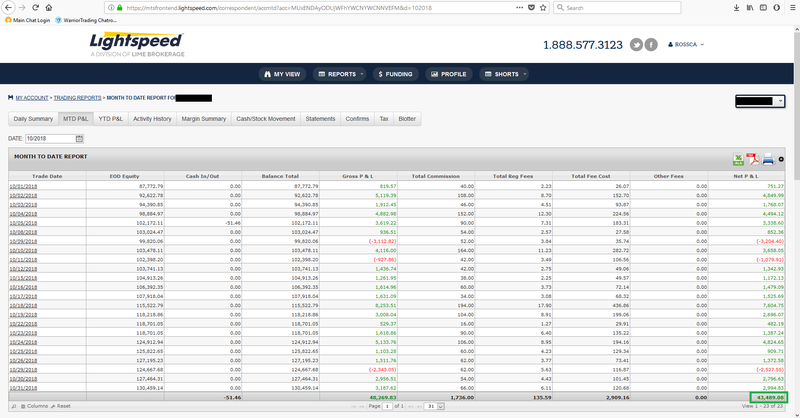 Gross profit before platform, wiring fees and TAF Fees/Credits: $42,417.38. 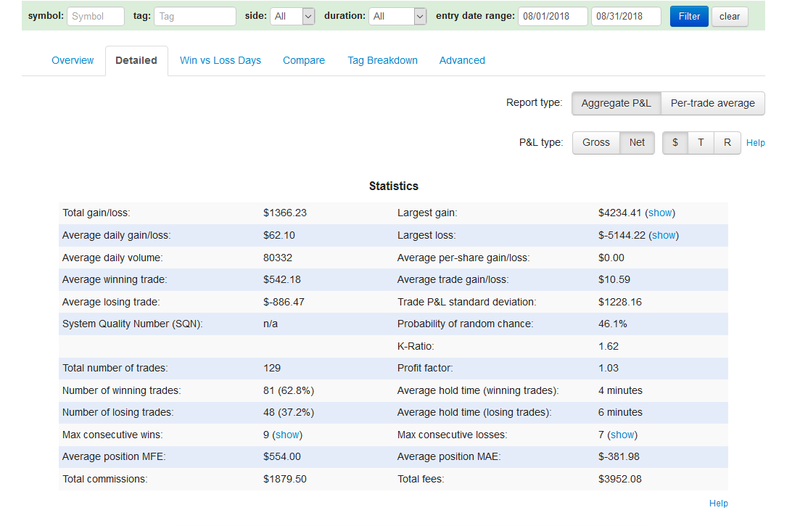 Net Profit after Fees/Credits: $41,973.40. Gross profit before platform, wiring fees and TAF Fees/Credits: $54,428.74. 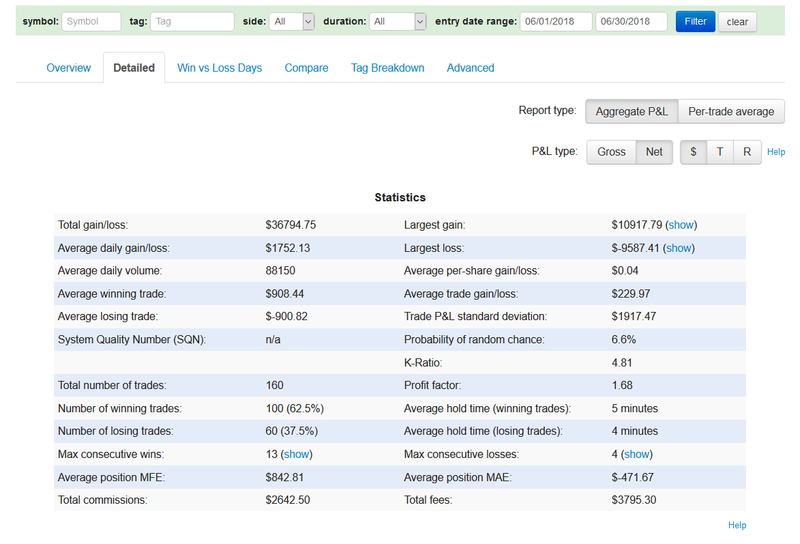 Net Profit after Fees/Credits: $54,420.60. 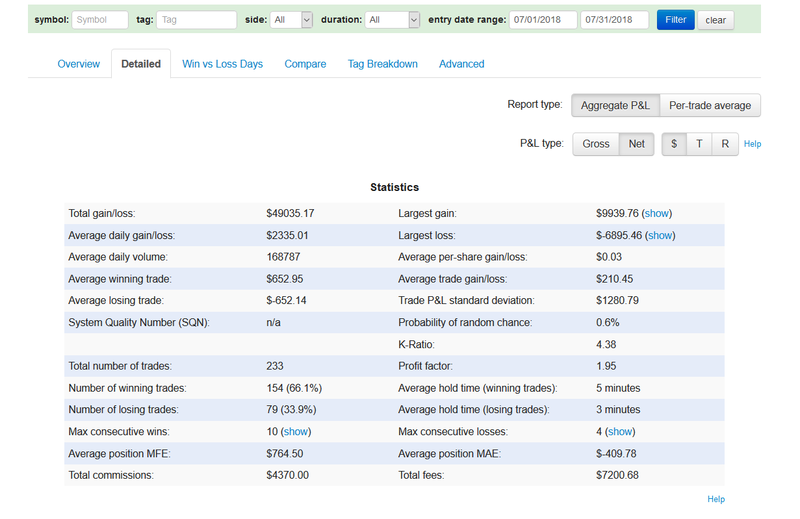 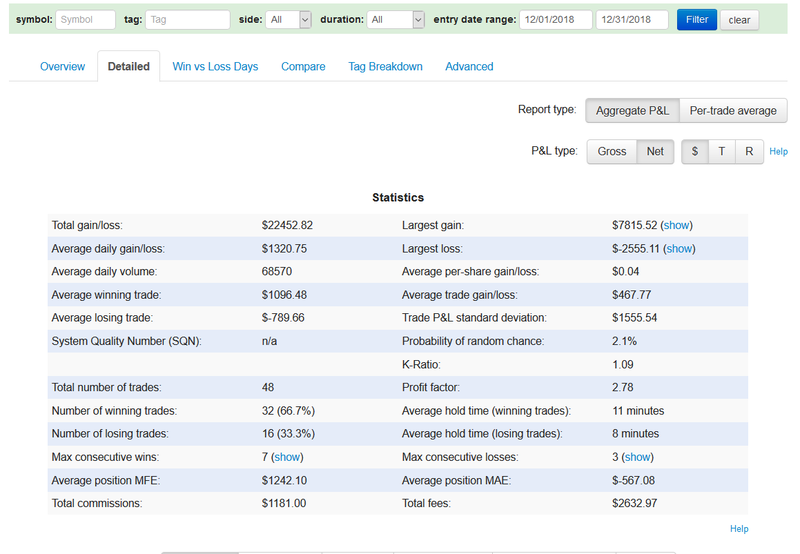 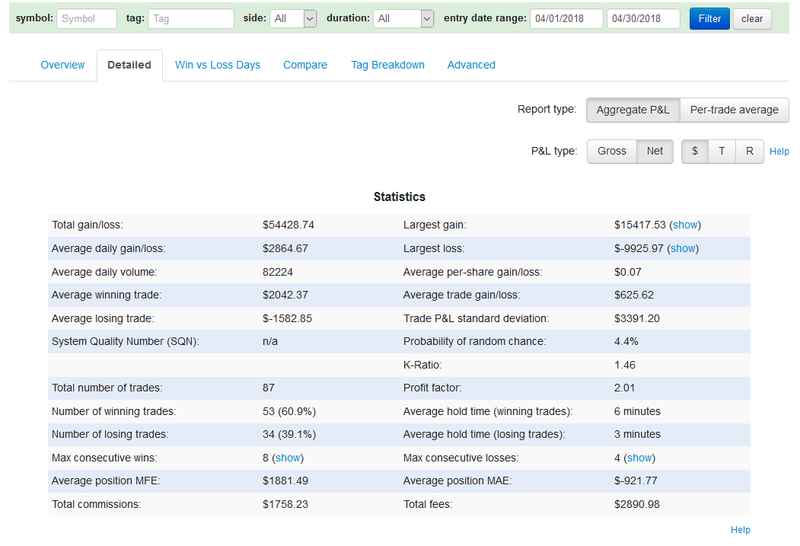 Net Profit after Fees/Credits: $73,404.85. 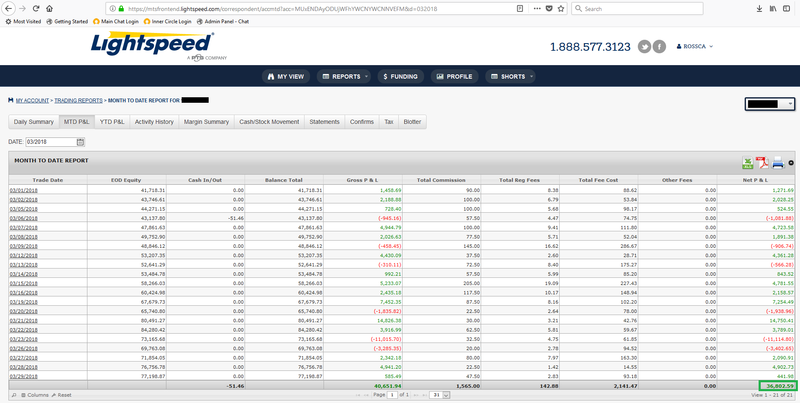 Net Profit after Fees/Credits: $36,784.42. 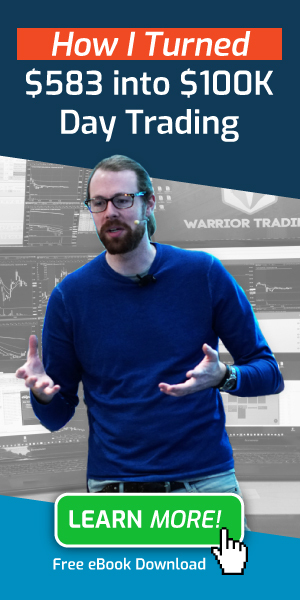 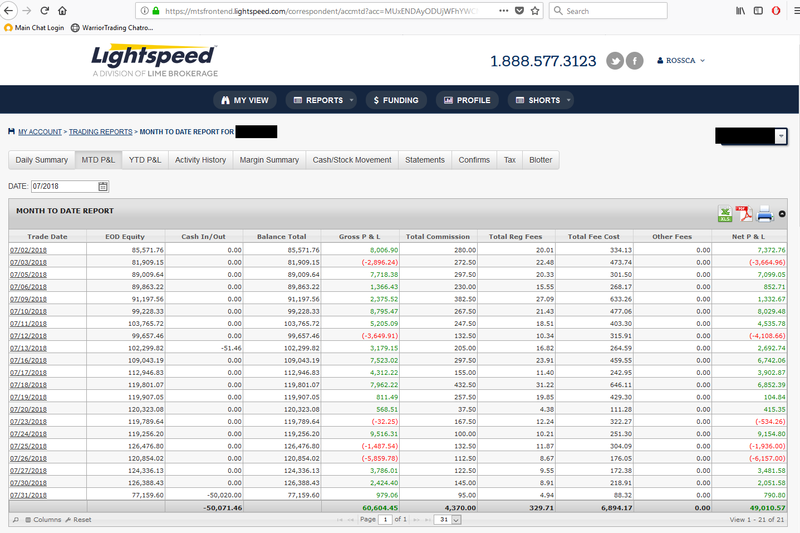 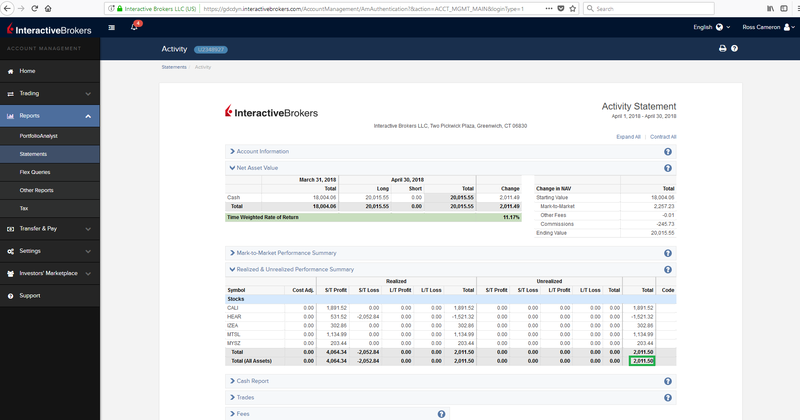 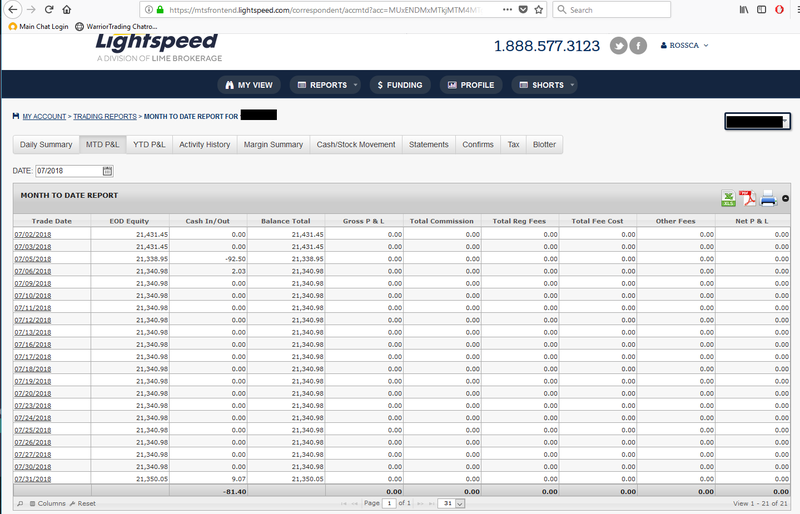 NOTE: In June I closed my Interactive Brokers account and moved it into an IRA Account at Lightspeed. 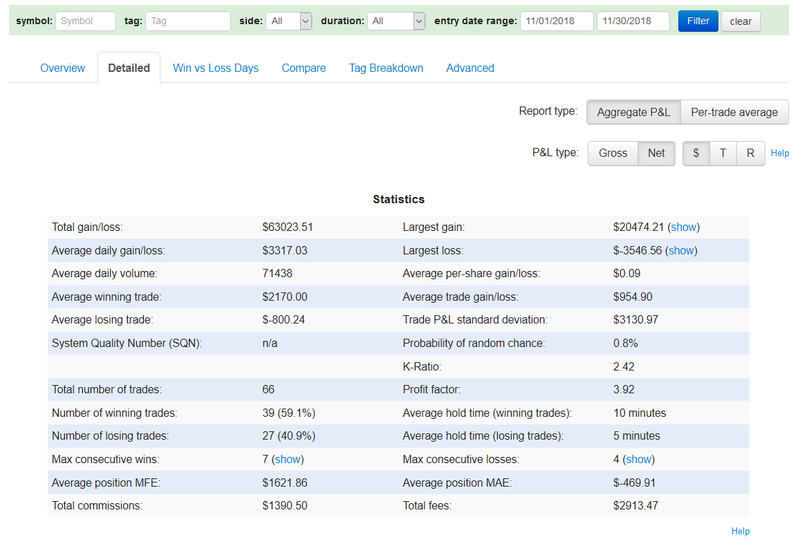 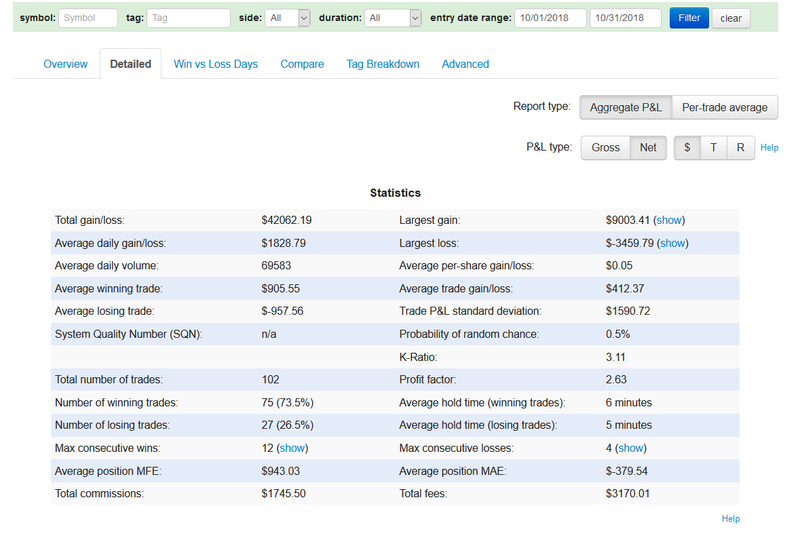 Net Profit after Fees/Credits: $49,010.57.